HMH Books for Young Readers, 9780547370170, 352pp. They strip her naked, of everything—undo her whalebone corset, hook by hook. 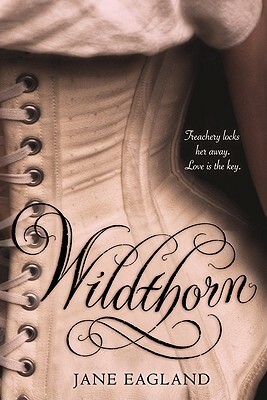 Locked away in Wildthorn Hall—a madhouse—they take her identity. She is now called Lucy Childs. She has no one; she has nothing. But, she is still seventeen—still Louisa Cosgrove, isn't she? Who has done this unthinkable deed? Louisa must free herself, in more ways than one, and muster up the courage to be her true self, all the while solving her own twisted mystery and falling into an unconventional love . . . Originally published in the UK, this well-paced, provocative romance pushes on boundaries—both literal and figurative—and, do beware: it will bind you, too. Born in Essex, Jane Eagland taught English in secondary schools for many years. She earned an MA in Creative Writing and has worked as a tutor. She published Wildthorn in 2010, having been inspired by true stories of women who were incarcerated in asylums in the nineteenth century.